The intent of this process is not to blame, but to highlight negative patterns that many fall into and to empower people to begin a new relationship with their loved one. And contrary to what you may have been told or assumed, you, as a parent/family member, can actually play a big role in helping your loved one shift their motivation towards positive change. There are of course things you can do or say that push things in exactly the opposite direction from what you want (i.e., confrontation, the silent treatment, forcing change). I will expose you to a variety of skills you can use to turn motivation on and sustain it. Your loved one has not “messed up” and the role of the treatment process is not to “fix” him or her. Getting closer to my husband as we try to solve this challenge. Getting closer to my other son and daughter as we had a common goal to solve. My friends being a source of inspiration. Incredible moments of authentic connection. Helping me communicate in a more empowering way. We understand that Substance Use Disorder is a condition that affects the entire family and thus, provides recovery services to support loved ones. Active involvement of family members is a critical part of the treatment process and will have a positive affect on the addicted loved one. The goal is to help parents understand how their behavior impacts the adolescent’s substance use so that the caregivers will be motivated to change their own behavior to promote the adolescent’s overall health. All families are invited to fill out a questionnaire to enable a Family Recovery Support Specialist to best assess their needs. Our approach helps families get the best chance at sustained/long term recovery. Our family-driven service model emphasizes and encourages participation in mindfulness, meditation, trauma work, service work, creativity, community, and joyful, sustainable living. We don’t judge how a person addresses their recovery from addiction. Maybe A.A. is helpful and they find everything they need there. If it’s not, we genuinely know there are many pathways to recovery. We claim the best chance at sustained recovery because we facilitate a practice that offers a superior level of client connection and compassion, across a wide spectrum of recovery services, delivered over an extended period of time. Our "whole family" recovery approach, for the best outcomes, can total one year of continuous involvement with the Family Recovery School™. REMEMBER you child has not “messed up” and the role of the treatment process is not to “fix” him or her. Alcoholism and drug addiction affects the whole family - young, teenage, or grown-up children; wives or husbands; brothers or sisters; parents or other relatives and friends. One family member addicted to alcohol and drugs means the whole family suffers. Addiction is a family issue that stresses the family to the breaking point, impacts the stability of the home, the family's unity, mental health, physical health, finances, and overall family dynamics. The "whole family intervention” approach works because it focuses on the total picture and all of the people and dynamics involved. We do not single out the addicted loved one as “the problem” and we don't let labels and myths keep him or her from being held responsible for either fixing the problems or living with the consequences. We work with the family members who want the situation to change, instead of obsessing on the addicted loved one and what they're doing, who a lot of the time has a vested interest in things staying the same. 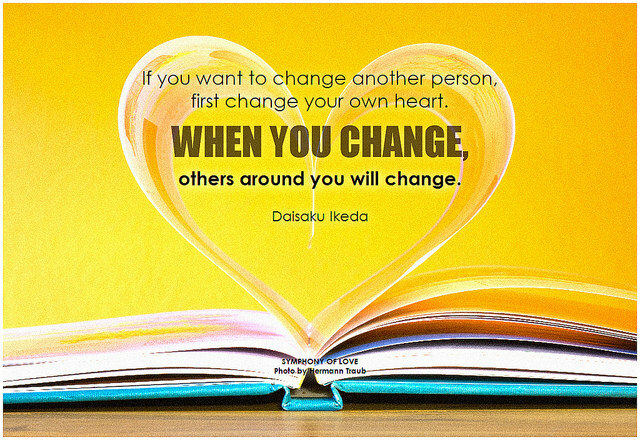 It works because we focus on the people who want to change rather than trying to force change onto someone else. Whether dealing with a family, a couple, or anyone else, success always means working with whomever is motivated. ​NOTE: There is no quick fix to maintaining any kind of behavior change; skills, practice, and supports are needed for the long haul.